You will understand that installing tiles is one thing that might seem easy, but there is another task, that is, leveling them. This is where the sweating comes in and if you are having a hard time at this stage, you might want to consider investing in the best tile leveling system. This article gives you our five choices and our top pick, buying and usage guide, and how it works. What is a tile leveling system? Who is a tile spacer leveling system designed for? How does a leveling system for tiles work? Our top pick for the best tile leveling system is the Raimondi, Leveling System Starter Kit. The kit comes with everything that you need including 100 clips, 100 wedges, and the pliers you will require to work effectively. As simple as it is packaged, that’s how it makes your work easier. The Raimondi RLS will not just get the job done, but it will be a perfect one all the time with the results being smooth and even floors and walls. Tile thickness: - ⅛” minimum and ½” maximum. Anti-scratching and anti-chipping wedge base. The Raimondi Leveling System (R.L.S) brings a revolution to the world of tiling since it not only makes the leveling tiles easier but it also ensures it’s done properly. This product saves you time as it speeds up the tile leveling process. It is versatile since it can be used for heavy, larger format, flexible, and low-thickness tiles. It’s a full packed package since all you need is housed in the bucket. It has wedges, clips (spacers), as well as pliers. It is a product that would work for anyone operating on a tight budget since the wedges are reusable and can be for an eternity. The wedges also work for two clip sizes, that is, the 3 up to 12 mm in thickness and 12 up to 20 mm in thickness. This minimizes constant wedge purchases. The product comes with multi-use pliers since they come in two different versions. They can be used for the floor and wall tile leveling. The pliers also have special traction and can be adjusted to fit the needs. Comes as an all in one package (bucket loaded with pliers, wedges, and clips). Easy to place, use, and remove. Guarantees results, speed, and seamless operation. Reduces the need to clean-up after installing the tiles. Components: 300 spacers and 100 reusable wedges. A higher number of clips (has a total of 300 clips). This tile leveling system might be a good choice for anyone who is a perfectionist as it ensures you get the flatness you desire and avoid tile movement while installing them. The system offers an all new and innovative way of helping DIYers as well as professional tile guys to improve their efficiency while laying tiles and obtaining perfect and lippage-free finishing. The package would also be suitable for people with both 1/8” and ½” tile thickness. The kit is a money saver too as it is equipped with 300 leveling clips which means increased efficiency over a wide area. It also has 100 reusable wedges that can serve you for the longest time possible. You would only need to buy extra clips per the need. The kit also makes work easier and speedy, in the process reducing the installers’ stress and fatigue and making them for efficient. It would be a good fit for both the professional and DIY installers since it reduces the need for polishing and grinding. In addition, it helps hold the tiles together and prevent them from moving during the curing stage. It does not allow premature breaking off. The wedges have a tight click lock holding. Comes packed with reusable wedges and can be used for as long as they are intact. The translucent clips are not strong enough. Comes with adjustable and reusable pliers. The kit has more clips and wedges. It is packaged in a heavy-duty bucket. The clips have in-built spacers. The Peygran Tile Leveling System saves time as using the kit means spending less time and efforts than one would if they were leveling them the traditional way. The kit helps in saving money. Since it is packed with 400 clips and 200 wedges (reusable wedges), it ensures you spend less yet get to do more. The system ensures perfect results since it provides for flatness between tiles while reducing movements through the mortar setting. The kit could be ideal for anyone looking for built-in spacers as it allows the installer up to 1/8” grout lines. The wedges have round edges. This ensures they can be used without causing any damage to the tiles. The product also comes with pliers with a scale bar. The bar helps in adjusting it to the right scale. The kit works for both small and big tiles. Has strong and adjustable pliers. Comes with 400 leveling clips and 200 leveling wedges. Clips have in-built 1/8-inch (3 mm) spacers. This tile leveling kit would be a good companion for both the professional and DIY tile installers as it helps in ensuring a perfectly smooth surface. The kit saves you money as it comes with 300 spacers and 100 reusable wedges. This means more areas can be covered at a go with the same wedges. The clips are money savers too as they have built-in spacers. The spacers, 1/8”, have a design that ensures the installer does not need to use extra ones. The product also ensures it prevents the tiles from warping during the curing time of the thinset. On saving time, the kit might be ideal for those operating on tight schedules as they do not need to level the tiles traditionally. They will only need to use the clips and wedges to get every tile in line with the others. The clips are easy to knock off. The wedges can be used and reused over a long time. Tile spacing: - 2 mm to 4 mm. Components: 100pcs (straps with caps). Has a caps removal tool. Has “+” and “-” strap types. The tile leveling kit might be a good companion if you are a professional or DIY installer as the straps and caps are easy to fix on each other. The straps are also easy to fix and place tiles around them. The kit is also versatile with “+” and “-” strap types. The “+” type straps are designed for corners and with four tiles while the “-” are designed for any other type of layout. Since the kit is easy to use, it helps speed up the tile leveling process whether the installer is an amateur or a pro. The product’s versatility also makes it fit for use on both walls and floors. The kit works well even for larger floor projects. Easy to install, use, and remove. Ensures a clean and smooth surface. Straps tend to break off level with the surface of the tiles if not broken properly. Apparently, most people prefer professional and advanced tile installation and leveling to the traditional one. As such, there has been an increase in the production and sale of tile leveling systems. The staggering number of the different leveling systems shows how the industry has grown and a push to get the consumer the right leveling system is on the rise. Whether you are a professional or DIY tile installer and leveler, you will need sophisticated leveling systems. The market has an extensive range of such leveling systems, and your selection depends on your budget, the areas to be covered, tile dimensions, and the timelines. A tile leveling system is an invention designed to speed up the process of installing tiles and keeping them leveled. Even though most people consider them when they have large areas to cover, the systems are designed for both small and large areas. If at any time you need to keep it fast and easy laying your tiles perfectly, a tile leveling system will be all you will need. Even though there is a notion that the systems are designed for professionals, the case is different. The products make it easy for professional tile installers as well as DIY tilers to lay their tiles perfectly without inconsistencies. Some tile leveling systems have straps and caps while most have clips and wedges. The clips and straps are placed on the floor and have tiles placed on their base surface and around them. For the systems with clips, the wedges are driven into the clips, balance the tiles, and then the clips are broken after that leaving no trace of the buried pieces. As for the straps and caps systems, the case is slightly different but with the same results. The straps are placed on the floor, and the tiles are placed on their lower and flattened surface. The caps are then fastened on the top end of the straps until the tiles are level with each other. The cap is then hit and breaks the strap leaving only the tiles visible. The range of tile leveling systems is wide, and the choices are varied. However, all of them are designed with the aim of making the process seamless, easy, and perfect. When it comes to choosing the right tile leveling system, it is crucial that you choose the one that meets your needs. You should also consider your budget and try not to strain your budget. The combinations can be varied and include wedges, clips, and pliers as well as a combination of straps and caps. The most important bit is having a complete package since you will need pliers to adjust the wedges just like you will need the clips to hold the wedges in place. The clips, in return, are the determinants of the grout spaces. Ultimately, you should consider the thickness of your tiles before you buy the systems. It might interest you to know that laying tiles is a tiresome process. As such, you shouldn’t be looking for a system that is not going to make things any easier for you. The systems should be highly efficient yet comfortable to use. If you do not need to compromise the quality of work and the money that you send, you should put more considerations into the quality of the items you buy. The lower the quality the cheaper it is but the results will not be worth it. The wedges and clips should be strong enough to help you press, push, or drive tiles to ensure a uniform tiling. This should be everyone’s point of concern. A good system should give you back the value for your money by getting you perfect results. However, you should not compromise quality for cheap items. Using a tile leveling system is one great way of ensuring your tiles are laid down effectively and without inconsistencies. Also, the systems ensure there is no lippage between each tile and the neighboring ones. Using the systems also saves time and ultimately saves money by reducing the time spent on each project. Begin by flattening the working surface. This helps avoid ending with uneven surfaces. Make sure the tiles are cut to the right measures when needed. Get a corner that is flat and closer to the right angles of the other walls and the floor. Start working from the corner you identified and watch as the other tiles are leveled with the first one. Use a thin set of cement and start laying the first tile. Use the spacers now to ensure you have more even spaces between the edges of the walls and tiles. It is time to insert the wedges into the clips and adjust them with the tool available (mostly pliers) until the tiles are level with each other. ​Q. What is a tile leveling system? A. A tile leveling system is a system designed with the aim of helping professional as well as DIY tile installers lay them down with precision and perfection while avoiding lippage and inconsistencies. Q. Why should I use a tile leveling system? A. Use such systems will save you time and, in the process, save you money that would have been used to hire more people to get the work done faster. Q. When should I use a tile leveling system? A. You can use a tile leveling system whenever you want to refurbish or install new wall or floor tiles. The system can be used when you have a professional or when doing it yourself. Q. Do tile leveling systems eliminate lippage? A. Yes, they do a good job in eliminating lippage completely with their unique and patented systems. Q. Will I be creating empty voids by using clips underneath the tiles? A. No, you won’t. When you tighten the clip into space, the tiles are pressed too and are pressed downwards, not upwards. This minimizes any chance of a void space. Q. Will my tiles still achieve 100 percent coverage? A. This will be dependent on how precise you are with the tiling. However, if you troweled your thinset properly, you will achieve a 10 over 10 coverage. Q. Do I need to remove the caps and wedges after the motor cures and settles? A. Yes, you do, but it's a simple process. You only need to break them away. Q. How do I remove the tile leveling clips without breaking them along the tiles’ surface or inside the grout line? A. Do not worry about this. It happens with most first timers, but once they learn the trick, it becomes easy. Whether it's a clip and hedge or strap and cap, you only need to hit it firmly and not too hard with a rubber mallet or even your shoe. You should not hit the flat area, rather hit the side. Q. Why are there different types of tile leveling systems? A. There is usually an ergonomic tool designed for use by professionals while a manual tool is designed for use by DIYers. Our top pick and the leader of the pack for the best tile leveling systems is the Raimondi, Leveling System. The kit has a performance record that equals the price and what is better is that it has wedges that you can use and reuse, thereby saving more money. The Raimondi RLS does not only give you back the value for your money, but it also makes its use worthwhile. Packaged with 100 clips, 100 wedges, and adjustable pliers, using it is never about to get tedious or a waste of time. The Raimondi, Leveling System Starter Kit has reusable wedges and pliers that boast of special traction. Compared to its peers including the Top Home Dec Tile Leveling System, the kit is simple to use and calls the shorts despite it being a bit pricey. Our premium and budget picks play their roles too in ensuring professionals and DIYers can lay their tiles with perfection. Even with the competition feuded by the likes of Raimondi RLS as the best tile leveling system, the Top Home Dec Tile Leveling System and Peygran Tile Leveling System SUPER KIT 1/8' cannot go unnoticed. Tile Levelling System Raimondi - RLS – Raimondi Spa. Tile Leveling System – Peygran. 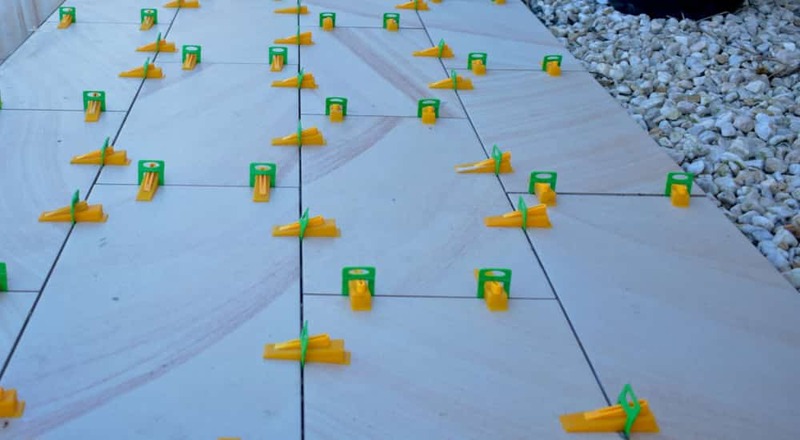 The advantages of using a tile lippage leveling system – Tile Pro Depot. Using Tile Leveling Systems – Fine Home Building.